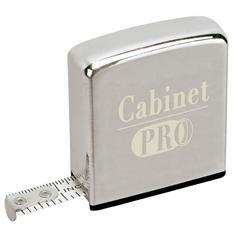 An elegant yet practical gift, this handy 6' Chrome tape measure is sure to please both men and women. A great item for around the house or in the office. Imprint Area: 1-/8" x 1-3/16"